Hannah's Ethics Blog ! : Bowling for Truth? Last week, I was really curious about the outcome of the Ficus Campaigns in Virginia. I have researched and researched to find the answer to this question, but have unfortunately come up empty handed. The election occurred in the year 2000, and at least 4 ficus plants ran for Congressional seats in Virginia. 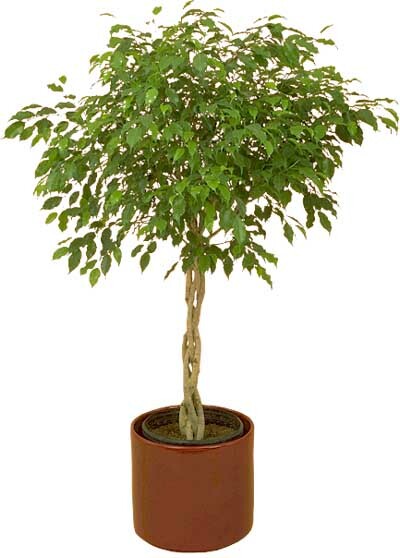 In the Awful Truth episode, Michael Moore had a lot of trouble getting the ficus to be a candidate. I feel that the plants in Virginia faced the same, if not more problems. On the Virginia State Board of Election's website, the election results do not even show "Ficus" running. This leads me to believe that either the Ficus Campaign fell through, or it didn't even get enough votes to be counted. According to several sources, the Ficus Campaigns did cause a lot of controversy in Virginia and in other states as well. I have not found any information to lead me to believe that any of the campaigns were successful. This week we have continued to explore the world of fallacies, persuasive media, and Michael Moore. 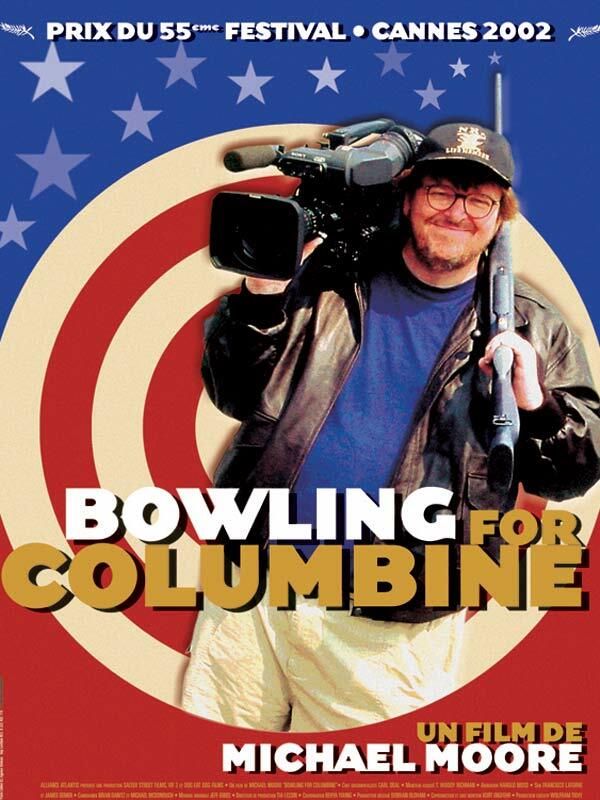 We have been watching a movie by Michael Moore called Bowling for Columbine. This is an extremely controversial movie that addresses the Columbine shooting, gun laws, murder, killer bees, and a variety of other terrible things. This movie possess the classical Michael Moore touch, and it is filled with extraordinary amounts of examples of fallacies, sketchy editing, and persuasive filming. The main topic of this movie is centered around the Columbine shootings. This is a very fragile topic that still saddens many people years after it happened. Two 12th grade students, Eric Harris and Dylan Klebold, opened fire on the students at Columbine High School in Littleton, Colorado on April 20th, 1999. They killed 12 students and 1 teacher, as well as injuring 21 others. Many people believe that violent games and movies, Marylin Manson's music, and the easy access to guns are to blame. In this movie, Michael Moore tries to point the blame at each of these and uses sneaky editing to prove his point. After the Colombine Massacre, gun control laws became a big issue. Michael Moore showed the viewers how "easy" it was to attain a gun. He got one from a bank by opening a bank account and bought ammunition "easily" at Walmart. He used his editing "skills" to cut out most of the background checks and extra precautions involved with owning a gun. He did this to mock and make fun of the laws. The NRA was also brought into the picture,and it was shown in a very negative light. He even edited the film of two different speeches together to make Charelton Heston and the NRA look really bad. Moore used many different fallacies to use the NRA as an excuse for the shootings at Columbine. 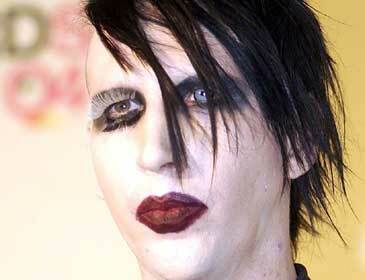 Also Moore addresses the music of Marylin Manson to see if he is the reason for the shootings. He interviewed Mason, who I thought had a very interesting appearance. From a first glance, one would think that Manson has trouble written across his forehead, but once you listen to him talk, you realize that he is actually a very caring person. He said he would have just listened to what the killers had to say and try to talk to them about it afterward. I was completely shocked after hearing what he had to say! It just goes to show that you can't judge a book by it's cover! One more thing that was addressed was the topic of violence in America causing murder. According to Moore's statistics, the US has the highest murder rate in the world, when actually we do not. He leaves out certain details so that things appear in a different way. Also, apparently all Americans believe that Canadians are very peaceful people. Moore exploits this so called fact by actually going to Canada and interviewing people to show how similar their cultural influences are to ours. They watch the same movies and play the same violent games. Also according to Mr. Moore, all Canadians own several guns and never lock their doors at night. He showed this by interviewing people at a gun firing range, talking to people in a bar, and walking up to random people's houses. He once again edited out the parts that would disprove his point. As one can see, Mr. Michael Moore is becoming less and less of a credible source of information. Michael Moore's videos always stir up some intense debate in the class. His work stirs up people's emotions, whether or not it is in a good way or a bad way is still to be decided. I honestly wonder how many people have been decived by his work? Also I wonder if I would have been fooled if certain things weren't pointed out to me in class? I wish I could say that the answer would be "no", but honestly I am not sure. 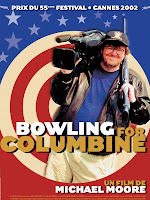 After watching parts of Bowling for Columbine , I am very curious about the gun ownership statistics in the US, Candada, and other major countries of the world. I wonder which country actually has the largest number of guns and whether or not it is related to the murder statistics?